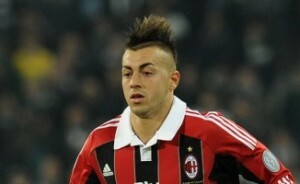 Transfer news from the Premier League is out claiming that Manchester City are chasing AC Milan striker Stephan El Shaarawy. Gazzetta dello Sport revealed that City are launching a €40 million bid for the Italy international. The 20 year old had also been linked with Arsenal and Manchester United, but Milan are now finally prepared to release him for €40 million.